A familiar news topic during the flu season is the difficulties that the authorities face in producing enough flu vaccine fast enough to control the outbreak. That’s a serious enough problem, but when the influenza outbreak turns out to be the start of a global pandemic, then hundreds of millions of lives could be at risk. To combat this, the Defense Advanced Research Projects Agency (DARPA) has developed a new way of making vaccines that has turned out 10 million doses of H1N1 influenza vaccine in a month, in a recent test run. A globalized world means a world increasingly at risk from pandemic diseases. According to the World Health Organization (WHO), 20 to 50 percent of the world’s population is at risk from a pandemic outbreak such as that seen in the influenza epidemic of 1918. US military forces are particularly vulnerable because the nature of military life is perfect for the spread of disease, unless countermeasures such as cleanliness and vaccinations are constantly employed. The problem is, vaccines for new diseases can’t be produced quickly. According to WHO, it can take up to nine months to develop and put a vaccine into production. Worse, egg-based and other conventional vaccine production techniques may not be able to scale up sufficiently to meet the demand – especially for diseases where two doses per person are required for adequate protection. DARPA’s approach to solving this is the Blue Angel program. Started in response to the 2009 H1N1 swine flu pandemic, its purpose is to quickly develop practical countermeasures to disease outbreaks due to either natural causes or biowarfare attack. The program has a number of aspects, such as finding ways to identify people who are infected before symptoms show, but one major facet is the Accelerated Manufacture of Pharmaceuticals (AMP) project. 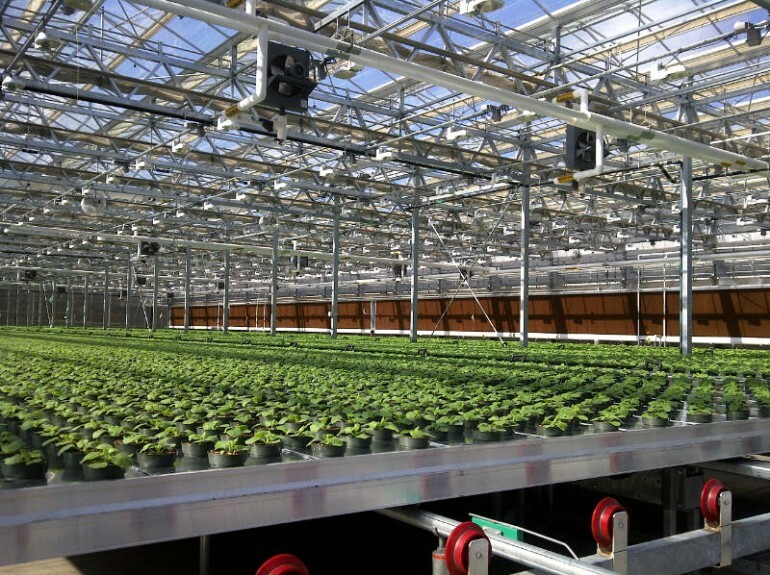 Working with Medicago Inc., AMP uses tobacco plants instead of eggs to produce recombinant proteins that are key to vaccines. According to the company, introducing viral genes into tobacco has a number advantages: the full-grown plants can be used because the protein is produced in the leaves; it avoids the need to procure eggs in huge quantities; and, there’s no danger of the virus killing the egg embryo. Medicago said that the tobacco process can generate the proteins within 14 days of the gene sequence of the virus being identified, with vaccine-grade proteins generated within four weeks. In the DARPA tests, 10 million doses of H1N1 influenza vaccine were produced in one month, as defined by an animal model. According to DARPA, third party testing confirmed that a single dose in an animal model produced hemagglutinin antibodies at a protective strength. However, only clinical trials can determine how effective it would be on humans, and the entire process still needs FDA approval. 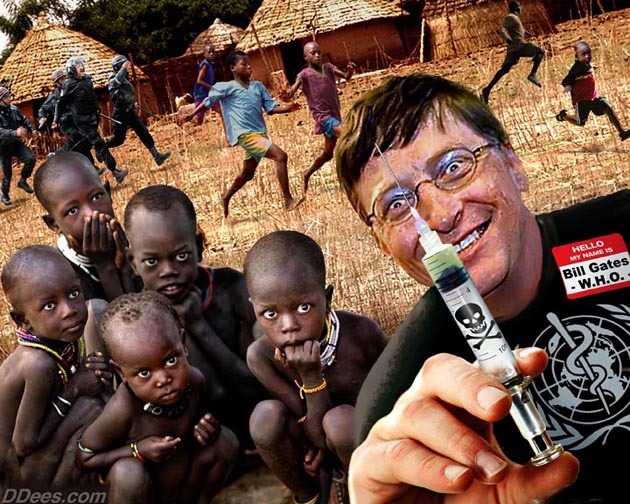 Gates, who, according to the Telegraph, is worth an estimated $65 billion, is now dedicating his life to the “eradication of poliomyelitis,” or, at least he is dedicating himself to the vaccination program allegedly aimed at achieving these ends. “My wife and I had a long dialogue about how we were going to take the wealth that we’re lucky enough to have and give it back in a way that’s most impactful to the world,” he says. “Both of us worked at Microsoft and saw that if you take innovation and smart people, the ability to measure what’s working, that you can pull together some pretty dramatic things. Emelie Olsson is plagued by hallucinations and nightmares. When she wakes up, she’s often paralyzed, unable to breathe properly or call for help. During the day she can barely stay awake, and often misses school or having fun with friends. She is only 14, but at times she has wondered if her life is worth living. Stiernstedt says Sweden’s mass vaccination saved between 30 and 60 people from swine flu death. Yet since the pandemic ended, more than 200 cases of narcolepsy have been reported in Sweden. STOCKHOLM – Emelie Olsson is plagued by hallucinations and nightmares. When she wakes up, she’s often paralyzed, unable to breathe properly or call for help. During the day she can barely stay awake, and often misses school or having fun with friends. She is only 14, but at times she has wondered if her life is worth living. In Emelie’s case, having fun is the emotional trigger. “I can’t laugh or joke about with my friends any more, because when I do I get cataplexies and collapse,” she said in an interview at her home in the Swedish capital. The World Health Organisation (WHO) says the 2009-2010 pandemic killed 18,500 people, although a study last year said that total might be up to 15 times higher. 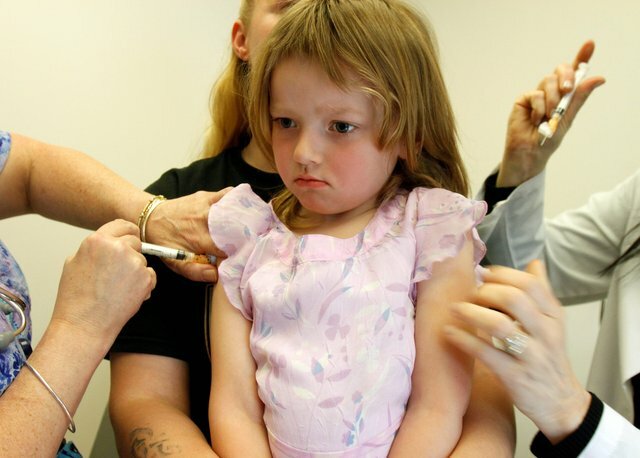 The nation is in the midst of an epic flu season, and now Delaware is temporarily lifting its ban on a mercury-containing ingredient in vaccinations to keep up with vaccine shortages. Pediatrician and Director of Public Health Karyl Rattay temporarily changed the state’s flu shot rules this week, lifting the ban on vaccines containing thirmerosal. Thirmerosal is a preservative that contains trace amounts of mercury. 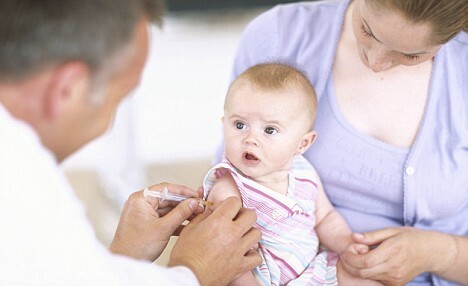 State law generally forbids the use of vaccines containing mercury on pregnant women and children under the age of 8. The law has been in place for years. However, Rattay suggests that thirmerosal has a proven safety record. “Nonetheless, folks have had concern in the past that there might have been harm,” she said. The mercury-containing preservative was taken out of vaccines not for substantiated medical reasons, she notes, but because of the heightened perceived connection between autism and vaccines. In a statement, Rattay said that pregnant women and children are particularly vulnerable to the flu, and stated, “Public Health wants to ensure that vaccine is available for those who need it in Delaware,” she said. Rattay adds that doctors have been concerned at the decreasing availability of the mercury-free vaccine. “They are not expressing concern about the risk from thimerosal. They are much more concerned about the risk of not being able to protect people from the risk of influenza,” Rattay said. Nearly 30 children have died from this season’s flu, and two people in Delaware have died from flu-related illness just this month. At this time last year, there were no flu-related deaths reported in the state. “The notion that there still are states that have a preference against thimerosal-containing vaccines on their books is outdated, archaic and certainly not supported by the science,” Offit said. (NaturalNews) The recommended childhood vaccination schedule has changed dramatically over the years, with children now receiving upwards of 30 vaccines, including multiple combination vaccines, before the age of six. And in many cases, doctors and nurses administer half a dozen or more vaccines all at once during a single visit to make sure children get all these shots and to save time. But according to data compiled from the government’s Vaccine Adverse Events Reporting System (VAERS), as many as 145,000 children or more have died throughout the past 20 years as a result of this multiple vaccine dose approach, and few parents are aware of this shocking fact. In a study recently published in the journal Human & Experimental Toxicology, researchers evaluated the overall number of hospitalizations and deaths associated with vaccines administered between 1990 and 2010, and compared this data to the number of vaccines given at one time to individual children. Hospitalizations and deaths resulting from one vaccine dose were compared to those of two vaccine doses, in other words, and the same all the way up to eight vaccine doses. Researchers also evaluated overall hospitalization and death rates associated with getting one to four combined vaccine doses, five to eight combined vaccine doses, and one to eight combined vaccine doses. Upon analysis, the team found that the more vaccines a child receives during a single doctor visit, the more likely he or she is to suffer a severe reaction or even die. According to Heidi Stevenson from Gaia Health, for each additional vaccine a child receives, his or her chance of death increases by an astounding 50 percent — and with each additional vaccine dose, chances of having to be hospitalized for severe complications increase two-fold. To sum it all up, the overall size of the vaccine load was found to be directly associated with hospitalization and death risk, illustrating the incredible dangers of administering multiple vaccines at once. Interestingly, the total number of reported hospitalizations and deaths from getting just one vaccine was higher than the number reported for getting two, three, or even four vaccines. Though the precise reason for this is unknown, it is believed that newborns mostly fall into the one vaccine category, and those that are injured by a single vaccine tend not to get any more vaccines, hence the immediate decrease observed among children who received only two vaccines. Once a child reaches five vaccinations; however, the hospitalization and death rate jumps dramatically, the reason for which was not investigated as part of the study. The treaty says that certain mercury-added products, such as batteries, lamps, switches, skin-lightening cosmetics, pesticides and thermometers, may not be manufactured, imported or exported no later than 2020. Mercury-added dental amalgams are also to be phased out. A global treaty to reduce toxic mercury in the environment has been completed and will be presented to countries for their agreement to control and reduce ways in which mercury is used, released or emitted. Negotiations on the Minamata Convention on Mercury, named for the Japanese city that suffered severe mercury poisoning in the 1950s, finished in Switzerland on Saturday. “Everyone in the world stands to benefit from the decisions take this week in Geneva — in particular, the workers and families of small-scale gold miners, the peoples of the Arctic, and this generation of mothers and babies and the generations to come,” said Achim Steiner, United Nations undersecretary-general and executive director of the United Nations Environment Program, which facilitated the meeting of delegates from 140 member states. However, certain mercury-added products are to be exempted from the ban, including those used for military and civil protection, products with no mercury-free alternative, products used in religious or traditional practices and vaccines containing thimerosal, an ethylmercury preservative. The omission of thimerosal-containing vaccines from the ban disappointed advocates who believe the preservative plays a role in sickening some children. “Children’s health took a backseat to special interests. The only major purposeful exposure to mercury that didn’t get addressed was thimerosal,” said Eric Uram, executive director at SafeMinds, which seeks to eradicate autism and other health disorders caused by mercury and man-made toxicants. However, use of thimerosal vaccines was supported by specialists who advise the World Health Organization, and groups like the American Academy of Pediatrics (AAP). Fifteen years of research “has failed to yield any evidence of significant harm” — including disorders such as autism — from using thimerosal in vaccines, Dr. Walter Orenstein, associate director of the Emory Vaccine Center at Emory University in Georgia, wrote in AAP’s Dec. 17, 2012, Pediatrics journal. Millions of children in the developing world depend on multidose vaccines that can be stored without refrigeration; thimerosal prevents bacteria or pathogens from growing in these vaccines, added researchers Katherine King and colleagues in Pediatrics. “Banning thimerosal would amount to banning such multidose vaccines” that currently protect children from tetanus, diphtheria, whooping cough and hepatitis B, they wrote. The United States uses thimerosal-free vaccines, except in some flu shots, according to the Centers for Disease Control and Prevention. Mercury is highly toxic to humans and animals when inhaled or ingested, and is particularly harmful to developing brains and nervous systems in children and fetuses. Global mercury pollution, which will be curtailed under the new treaty, occurs through emissions from mining, power plants, smelters and cement production. Mercury has entered the global food chain, especially via fish and shellfish; shark, swordfish, tilefish and King Mackerel should not be eaten because of their high mercury concentrations, the Food and Drug Administration advises. The signing of the global mercury ban will occur in October in Minamata, where thousands of Japanese citizens suffered death and injury from eating methylmercury-contaminated seafood from their local waters. It was later discovered that a local chemical factory had released its industrial wastewater into the surrounding waterways. OREGON, January 16, 2013 – A few weeks before the Newtown school shooting there was a mall shooting in Oregon. That shooting ended when a civilian pulled out his own gun and drew it on the killer. When the killer saw him, he turned his gun on himself and the ordeal was over. Two dead, seven injured, and over 69 shots fired. Chances are you didn’t hear about this. Chances are you didn’t hear about many shootings that take place across the country. You may also not have heard that many of the shooters in these cases have a history of taking psychoactive drugs, used to treat a variety of mental illnesses from depression to Schizophrenia. As American politicians look at gun laws, they cannot ignore the growing observable evidence of prescription medications in the majority of the mass shootings. The Newtown School shooter reportedly took the pharmaceutical drug Fanapt, made by Novartis Pharmaceuticals Corporation. Fanapt is prescribed to treat schizophrenia in adults, according to the drug company’s literature. Fanapt was approved by the FDA after two short-term research trials: a four week and a six week trial. Other side effects of Fanapt include suicide, along with hostility, aggression, mania, a confused state, along with problems with impulse control. Fanapt can also cause seizures, erectile dysfunction, high blood pressure, and low blood sugar. Frequent side effects of Fanapt include restlessness, aggression, and delusion. Fanapt can also cause hostility, paranoia, anorgasmia, confusional state, mania, catatonia, mood swings, panic attack, obsessive-compulsive disorder, bulimia nervosa, delirium, polydipsia psychogenic, impulse-control disorder, and major depression. There is evidence that suggests prescription medication may play a role in mass shootings. Documents show that 109 people have been wounded and 58 killed in recent shootings where the shooters were taking psychotropic drugs. The FDA has reports of 11,000 incidents of violence resulting from these drugs between 2004 -2011, including 300 homicides, representing less than 10% of actual incidents. The adverse events reported to the FDA are known to represent but a tiny fraction of all such adverse events. This study simply identified 31 drugs responsible for most of the FDA case reports of violence toward others, with antidepressants near the top of that list. The many past shootings at school campuses and other public venues should be investigated by government officials concerning whether psychotropic drug use may have been involved in the case. Selective Serotonin Reuptake Inhibitor (SSRI’s) appear particularly dangerous. SSRI’s raise not only serotonin levels but also potentate the activity of epinephrine, norepinepherine, and in some cases dopamine. These are neuro-active substances that are part of the catecholamine family. People who use Prozac and other SSRI drugs are five times as likely to commit suicide than if they took no medication at all. 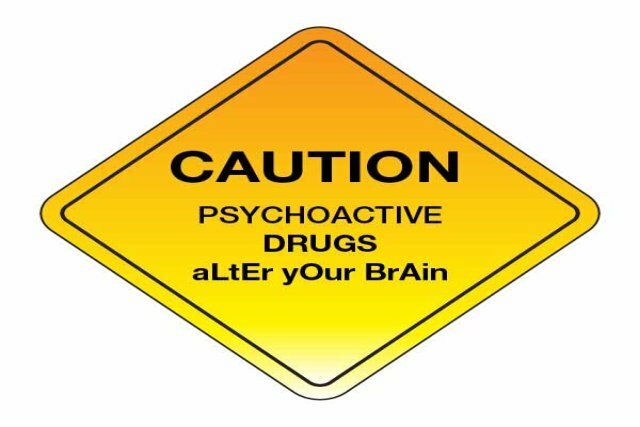 These drugs can cause helplessness, apathy, aggression, and sedation. Serotonin elevating drugs are prescribed for stress related emotional conditions, yet the evidence is that serotonin is already too high in people suffering from emotional stress. This is because stress liberates free fatty acids from storage, which, in turn, increases the uptake of tryptophan into the brain, increasing the formation of serotonin. A record of violence has clearly been associated with above average blood serotonin levels. Politicians, it is time to look at the psychoactive medications use and abuse in America. Dr Peter Lind practices metabolic and neurologic chiropractic in his wellness clinic in Salem, Oregon. USA. He is the author of 3 books on health, one novel, and hundreds of wellness articles. His clinical specialty is in physical, nutritional, and emotional stress.